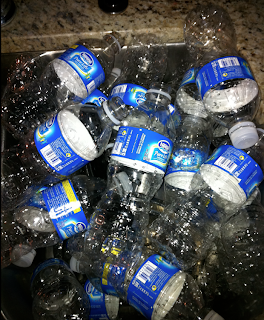 You know you're an extreme couponer when you..... rinse your hair in bottled water you stockpiled with coupons! Well, then call me an Extremely SMART Couponer because on Friday that's just what I did and it may have been the best rinse I have ever had! Friday evening started like most nights at my house, whining children, teeth brushing, vitamins, stories, luvs and tucking kids in to bed, then off to the store to find hidden deals at my local grocery store. After arriving home at around 11pm and working on the computer for about a half hour I decided to jump in the shower. I had just finished rinsing the conditioner from my hair when I spontaneously decided to condition my crazy mob of curly red hair yet one more time (with you guessed it, my favorite conditioner... which is?). I slathered on the conditioner and was massaging it through my hair when... the power went out. "Tim, turn the lights back on, you jerk!" was my first reaction. You see, my sweet Macgyver husband is quite the joker. Even the nieces and nephews have named him "Uncle Teaser Tim". But when I called my dear hubby he very clearly was startled from slumber to answer me. What to do!?! No power = no water and I was dripping with soap. Sweet Macgyver (yes, notice the change in tone) said I should just wait it out and the power would come back on soon. Seriously? You want me to stand here slimy and cold for what could be hours until the lights miraculously reappear? 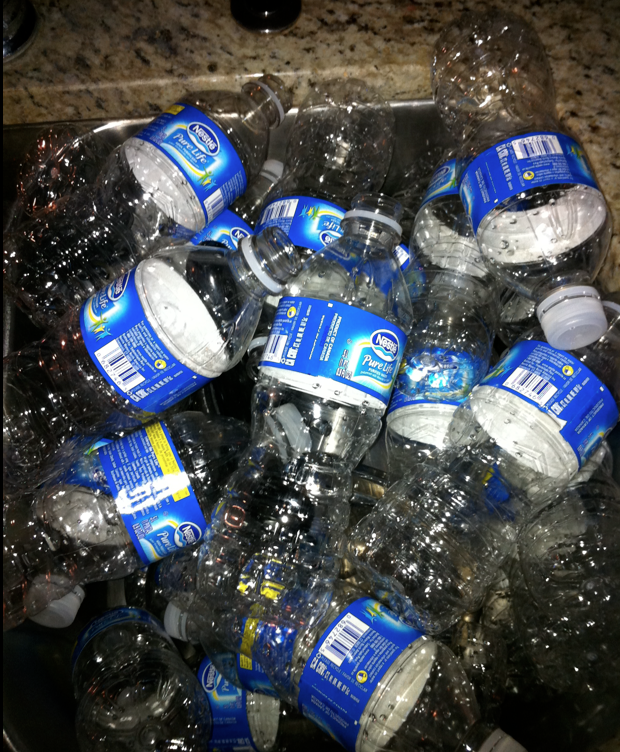 That option clearly wasn't even viable in this lifetime so option #2 - the Nestle bottled water rinse event began. Thanks to my hubby and my food storage a serious hair crisis was successfully managed and peace was restored. FYI - the lights came on 3 hours later, as did the blaring TV! I think it is Infusium, but I could be totally off. That was really sweet of your hubby to heat the water too. *HOT* 50% off Kid To Kid Deal Gift Certificate!!! Turkey - The Cheapest Meat (Stock Up)! Butter Prices Coming Down - Stock Up Time!